Allison Weatherby and her mother–both widowed and impoverished– would have been in trouble without the generous care of Thorne d’Aumont, Marquess of Silverthorne. Having grown up with him and his cousin, James Betterton, Allison has always trusted Thorne completely. She might just be falling in love with him . . . and she thinks, he with her. 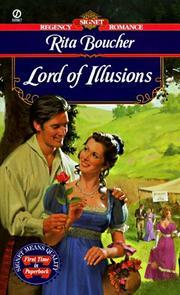 Then, one night, Thorne proposes the impossible: to make Allison his mistress–but not his wife. Affronted and disillusioned, she flees Thorne’s household . . . perhaps to her own destruction. Her parents always thought she was a Changeling. Her godmother, recognizing her otherworldliness, dubbed her “Elfa” during her christening. Throughout her childhood, she communed with the woods and buried herself in books. But when she learns that her father intends to force her older sister to wed their neighbor in exchange for a disputed forest, Elfa knows she must act. After all, Caroline is in love with another man. The only sensible solution is for the quirky seventeen-year-old to convince the Duke of Lynchester to marry her instead. For years, the Ghost of Hammerswold castle has appeared to his descendants to advise them about whom to marry to ensure their family’s future security. The current heir, Lord Jared Faverill, is on the path to dissipation, destruction and an early grave. After he has a fit of apoplexy, his grandparents are desperate to get him wed and reformed. What better method can there be than to hold a Halloween house party, populated by eligible blondes, to tempt the ghost to appear and make his choice? Lord Wodesby, England’s chief mage, has been adrift ever since he lost his magic from casting a dangerous spell to save Wellington’s army. At the same time, the beautiful Rowan Du Le Fey–a widow with a young daughter–finds herself the unwilling pawn of her fanatical stepson. If she fails to use her power as a Mindwalker to extract information from Sir Hector Southwood about Napoleon’s imprisonment on Elba, her little girl will become child-bride. Rowan cannot bear to see her little girl forced to endure the same tortures that she herself barely survived, so she insinuates herself into a diplomat’s home and begins passing on information. When Damien arrives, disguised as the Master Illusionist “Oberon,” he knows he must ferret out the spy. 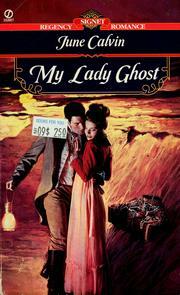 However, he doesn’t expect to fall in love with a dowdy governess with secrets of her own . . .